I am sending my regards from Tallahasse Florida and I would like to share about a great activity I have attended with my wife Saadet and my daughter Defne. This event was organised by ‘Big Bend Poets’ a chapter of Florida Writer’s Association at a Barnes and Noble store on March 14th, 2017. The event started with short speeches facilitated by the Chair Summer Hill Seven. Then Saadet and I recited two poems from Karacaoglan, a Turkish folk poet. This is followed with ‘Kim Olursan Ol Yine Gel’ from Rumi by Defne. Last, Defne (in English) and I (in Turkish) read ‘Just Smile’ (tranlated by Jonathan Ross and published in Scribbles March 2017 edition) which I have written for my grandson, as well as three of my poems from Migration Ballads. Wave have sent our regards to the universal world of poetry, to Spring, to love, hope and peace altogether with our American poet friends. Ali F. Bilir attended to the “Turkish Culture at FSU” poetry event at the FSU Center for Global Engagement’s “International Bazaar 2011” at March 26, 2011. After his introductory speech, Bilir read his poems “Fearsome Game” and “Prior to Long Journeys“, as well as, “For Me” from another famous Turkish poet, Abdulkadir Bulut, in Turkish. The English versions of same poems have been presented by his daughter, Ph.D. candidate Defne Bilir. Turkish Culture at FSU (TC at FSU) is a non-profit organization of students and other affiliates of Florida State University. TC at FSU is an organization not only for Turkish community or those of Turkish descent, but also for anyone who is interested in Turkish language, culture, and people. Ali F. Bilir and F. Saadet Bilir delivered speeches regarding poet Abdülkadir Bulut’s life and his poems at the 4th International Çukurova Art Days. Ali F. Bilir informed audience about their two new books, “ Abdülkadir Bulut- Kasabalı Lorca” and “Kasabalı Lorca Abdülkadir Bulut’a Selam, ” which he co-authored with F. Saadet Bilir. He mentioned Bulut’s view of poetry, cross-sections from his life and examples from his poems. F. Saadet Bilir introduced two of Bulut’s children books, “Üveyikler Göçerken” and “Sakar Tay” from Turkish language and narration stand-point. She mentioned about his prospect of children and his understanding of education. She also revealed Bulut’s less-known magazine articles. Other guest speaker, short-story writer Mustafa B. Yalçıner talked about Bulut’s “Toroslarda Yaşam Erken Başlar” and “Sümbül Gölü’” books, with a special emphasis on the culture, nature, and people of Toros. After the talk which took place at Silifke Egitim-Sen lounge, Bilir couple and Mustafa Yalçıner received memorial plates. Furthermore, Bilir couple announced their new books, “Abdülkadir Bulut, Kasabalı Lorca” and “Kasabalı Lorca Abdülkadir Bulut’a Selam“. Bilirs also read poems from Bulut and Karacaoğlan. 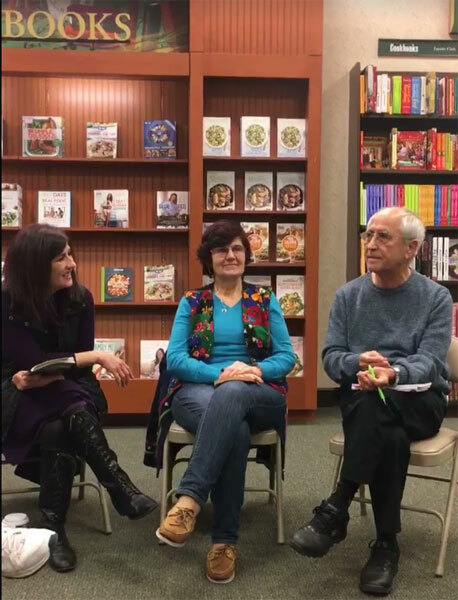 On November 10th, Ali F. Bilir attended the poetry reading event as the guest speaker, organized by Big Bend Poets (BBP), a chapter of Florida State Poets Association. The poetry reading event started with a short speech by Bilir. 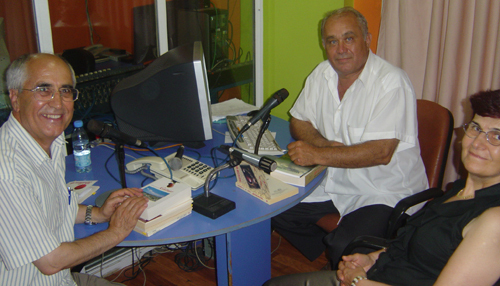 After reading verses from his famous poems in both Turkish and English, Bilir answered questions by poetry lovers. Meeting concluded with poems read by amateur and professional poets. 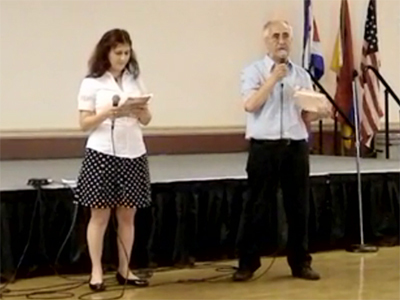 This is the second BBP poetry reading event, following his first appearance in October 2008. Bilir’s daughter Defne Bilir, a PhD. 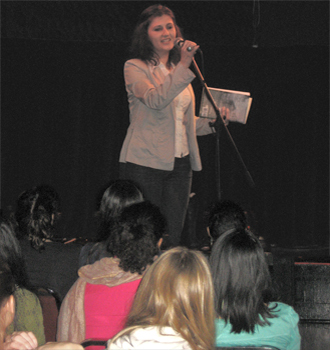 candidate at Florida State University, served as an English translator for the event. 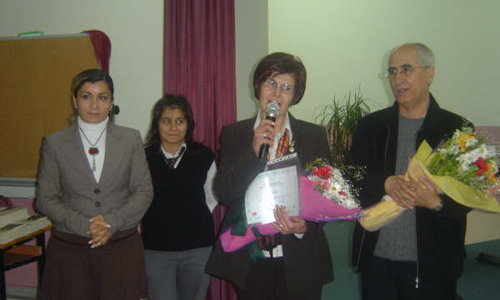 She also recited Ali F. Bilir’s poems in English. BBP is a North Florida based poetry society open to public. The organization’s purpose is to promote poetry to benefit the community. BBP group meets second Tuesday of each month at one of the local bookstores in Tallahassee. 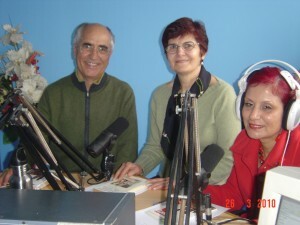 Ali F. Bilir and author F. Saadet Bilir were guest speakers at the show, “Bir Şiir Dünyası”, hosted by Oğuz Topaçoğlu of Radio Kent. After the brief introduction by Topaçoğlu, Bilir couple gave information about their new book project, “Abdüllkadir Bulut: Kasabalı Lorca”, following the poems from Bulut. Afterward, Bilirs shared observations on culture and social life from their recent visit to the U.S. Show concluded with fine examples of Ali F. Bilir`s poems and F. Saadet Bilir’s comments on Turkish language. 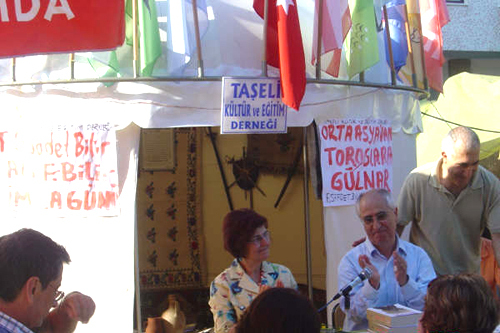 Poet and author Ali F. Bilir and his wife author F. Saadet Bilir delivered a speech at the 36th Silifke International Culture Week. In their talk, the couple expressed the importance of Silifke in their life as well as the importance of the local culture in society. Bilirs not only read poems from the famous Turkish poets Karacaoğlan and Abdülkadir Bulut but also answered participants’ questions, and signed their books. Ali F. Bilir and F.Saadet Bilir also met with M. Ali Sulutas, the author who translated Ali F. Bilir’s poems from Turkish to English, and Rasim Ors, the young and talented author who won the 2009 Yunus Nadi Award with the research of social sciences titled “The Turkish War of Independence and Atatürk Reforms in the Russian Media”. Defne Bilir read Ali F.Bilir`s poem, “Prior to Long Journeys”, at the cultural event sponsored by Florida State University`s Middle East Peace Association, Middle East Center, Hillel, and the FSU Bellydancers on February 27th, 2009. Written just before her daughter`s journey to U.S. for education, Bilir expresses his feelings about the separation and the promising future in “Prior to Long Journeys”. 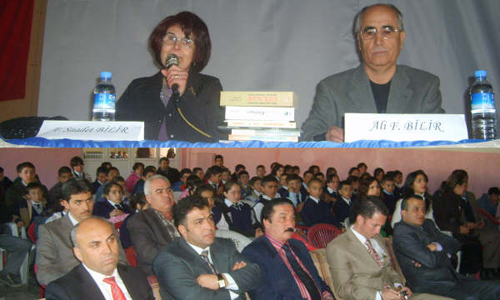 Together with his wife F.Saadet Bilir, Ali F. Bilir has attended to the conference about “the importance of the reading”, as the guest speaker, at the Mersin Social Sciences High School at December 25, 2008. Turkey is Reading. How about You? Ali F. Bilir was the guest speaker at the conference organized by the “Gülnar Halk Egitim Müdürlügü” about the“Turkey is reading” campaign.